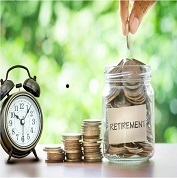 According to retirement specialists, this rule provides the starting point for calculating how much you really need in your retirement. How am I affected by the new rules? The new regulations are designed to protect you, as a member of your Employer’s retirement fund, and help you secure your retirement savings. There is a valuable lesson to be learned about planning for the future in our latest article. The 21st century is all about flexibility and thinking out of the box. How can you make it work for you? Find out more about alternative sources of income in our latest article.